Tourism in Buenos Aires is big business and the city has never been more popular, resulting in a huge number of new hotels having opened up in recent years. 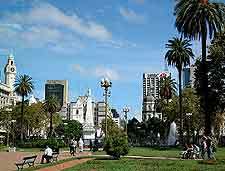 To compete, much of the existing accommodation in Buenos Aires has been upgraded and the facilities greatly improved. 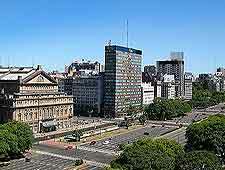 In general, lodging in Buenos Aires is relatively easy to come by, since there are now so many hotels to choose from. However, accommodation does start to fill up during the busiest months of July, August, November, December and January, and so if you are planning a visit at this time, do book ahead. 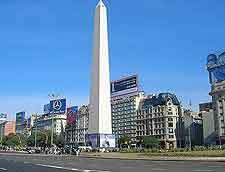 Many of the hotels present within Buenos Aires will be happy to lay on transport to collect you from Ministro Pistarini de Ezeiza Airport if requested. Breakfast is also usually included in the price, even at the cheapest youth hostels. The very best selection of accommodation is to be found within the Microcentro area of Buenos Aires, and in particular, around the Plaza de Mayo. On the northern side of the Microcentro, hotels are never far from the Recoleta and Retiro districts, as well as the traffic-free streets of both Florida and Lavalle. Hotels around the Plaza de Mayo are next to a number of historical government buildings and the financial district, with the San Telmo area being just a short stroll away. Retiro is another good place to look for lodging, although hotels here are notoriously expensive, since this is an especially affluent part of Buenos Aires. The Retiro bus terminal links this neighbourhood with the rest of the city, while both Microcentro and Recoleta and just a short walk away. 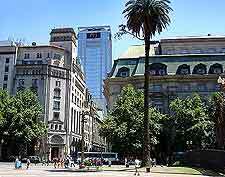 Accommodation within the Retiro area of Buenos Aires are often near to the Plaza San Martin and many rather upmarket shops, with the Hotel Central Cordoba being one of the cheapest offerings. Falling into the mid-range category is the Hotel Principado on the Paraguay, while at the top end are both the Howard Johnson Plaza and the Hotel Bel Air. Further accommodation is available around the Recoleta and is district of Barrio Norte, although again, most hotels are a little pricey for many tourists, standing alongside some beautiful buildings and architecture. Whilst there is cheap lodging to be found within the Recoleta area of Buenos Aires, such as the Juncal Palace Hotel and the Prince Hotel, these are usually completely full for much of the year. To the north-west of central Buenos Aires, do consider looking for accommodation within the Palermo area. Hotels here stand right next to expansive parklands and designer boutiques, with leading restaurants and night clubs also being close by. In particular, the hotels around the Palermo Viejo are reliable options and very reasonably priced.